It shouldve been a straight forward 2 hour max install, but it wasnt. I tried installing Godspeed Hyper RS coil overs and the rears went on without a hitch. Then when I got to the fronts (which I thought would be the easy ones) I couldnt install them. The upper control arm kept hitting the perch the spring sits on and nothing I did would solve it. I tried raising it from the bottom and it somewhat helped, but then whats the point of coil overs if you cant lower the vehicle. What I think might fix the issue is putting the rear springs in the front and vice versa. They are both rated at 12kg even though the website states 10F and 12R. Reason I want to swap is because they about an inch smaller so I think that will help clear the front upper control arm. 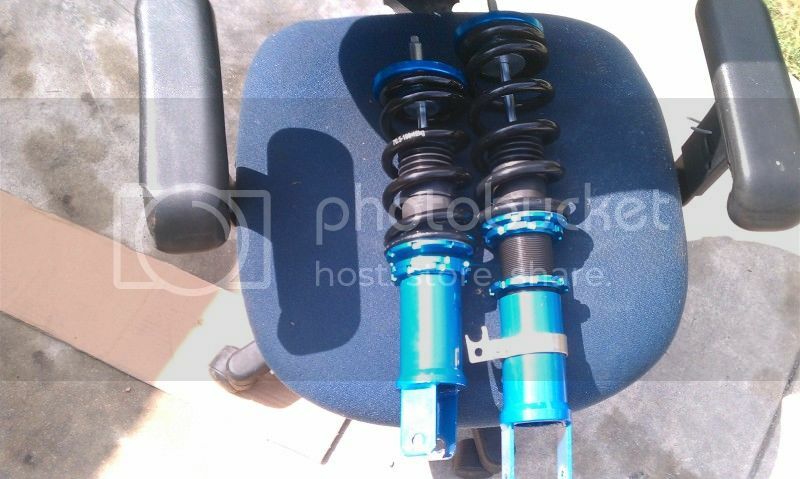 My question is, would swapping the springs affect handling or performance, even though they are rated at 12kg? I would rather not do anything since it should be plug & play but sadly it isnt. I don't power the rear wheels, I still lift 'em. i dont think it would. 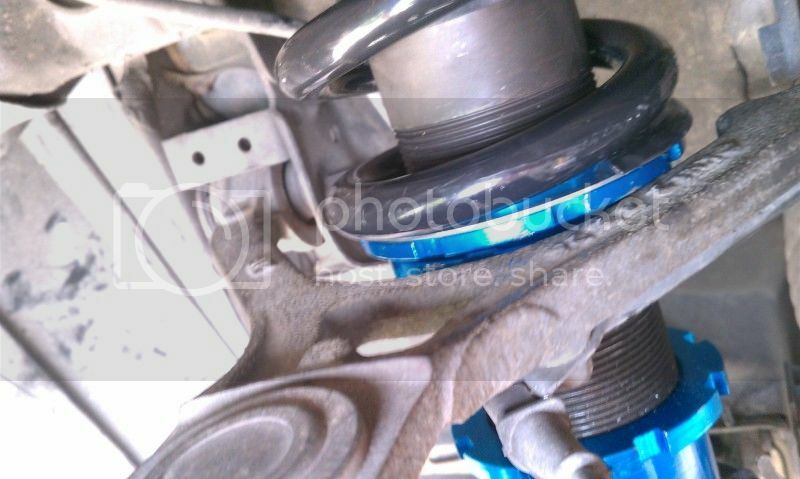 they are valved for 12k and 10k isnt too far off..
are the fronts actually valved for 10 or 12? Im not sure. But all 4 springs are 12kg. If the different size doesnt matter, that sounds like good news. so you bought these new from godspeed. supposed to be 10 and 12k. they came with 12k all around? Yeah I called them and they said to call back in 30 when "Ken" is there because hes the tech. I know these wont be amazing coil overs but at $550 I didnt think they would be a bad replacement for OE suspension with 100k. I swapped the springs and without the car being on the ground, the rim is already tucking. And the rear looks like it barely got a drop.